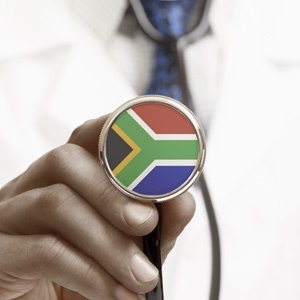 Cape Town – Government hopes that the number of private medical schemes and the options they provide will decrease under the proposed National Health Insurance (NHI) plan. Speaking at the annual conference of the Board of Healthcare Funders in Cape Town, Malebona Matsoso, director general at the Department of Health, outlined some of the elements of the NHI which includes plans for the public and private healthcare sector. Cabinet recently approved the NHI white paper and government intends to implement the universal healthcare plan in full in 2025. Matsoso said risk-pooling and cross-subsidisation will be critical elements to finance universal healthcare under the NHI. This funding system should aim to spread the financial risk of illness across the broader population and collect large pools of prepaid funds that people can draw on to cover their healthcare costs when they need it. Government will also look at introducing a single service benefits framework to the private healthcare industry as well as a new set of prescribed minimum benefits that are more closely aligned to common care pathways under the NHI. The number of medical schemes in the private sector will also have to come down and they will have to provide fewer options per scheme, Matsoso said. Barry Childs, CEO at Insight Actuaries and Consultants, said in a presentation on Monday that regulations need to be relaxed so that medical aids can be allowed to pool common benefits and have better cross-subsidies across different risk categories. He said the proliferation in the open medical scheme market can be ascribed to this limiting regulation of not allowing risk-pooling.